Gionee is preparing for the release of the Gionee M5, an Android smartphone that has not one, but two batteries inside. This information comes by way of Chinaâ€™s Telecommunication Equipment Certification Center which also lists the handsetâ€™s modest inwards.Â Gionee M5 comes with two batteries inside. Weâ€™ve been talking about Gionee quite frequently as of late. The company has been rather active as far as marketing goes, theyâ€™ve been releasing bits and pieces of their upcoming devices all over social media lately. This China-based company has released their Elife S7 handset during the Mobile World Congress (MWC) in Barcelona back in March. When it comes to hardware, Gionee M5 comes with two batteries inside, is quite unimpressive as a matter fact. 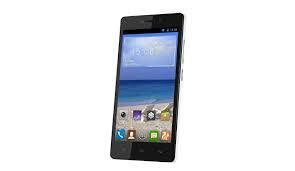 It comes equipped with a 1.3GHz quad-core processor, which is probably provided by MediaTek. But the good news is that it packs 2GB of RAM and 16GB of internal memory, which is quite decent for a mid-range smartphone. There’s also microSD card slot for memory expansion, as well as an 8-megapixel photo snapper on the back, which features autofocus, LED flash and video recording. Gionee M5 also features a secondary 5-megapixel camera in the front for video calls and selfies. The phone’s display probably puts it in the phablet category. The 5.5-inch AMOLED screen supports HD (720p) resolution, which seems to be the standard for mid-range handsets. It’s also worth mentioning that Gionee M5 measures 152 x 76 x 8.6 mm, and will most likely be launched in China initially. There’s no telling whether or not it will be available in other countries, but let’s see it on the market first. Despite having two batteries, the M5 has a rather thin 8.6mm frame, which is good news for people who donâ€™t like thick devices. Weâ€™re not sure whyÂ Gionee M5 comes with two batteries inside instead of just one giant one â€“ probably to preserve the thin body which might not be possible with a single power source. Surprisingly enough though, TENAA did not go into detail just how big those batteries are so weâ€™ll just have to wait until Gionee officially announces the device. For more information stay tuned with us.